So the Galaxy S6 Active was made official yesterday, but instead of its rugged exterior, the large battery powering the phone was the most notable thing about it. The Galaxy S6 Active features a 3,500 mAh battery, which is almost 1,000 mAh more than the battery on the Galaxy S6 and Galaxy S6 edge. I get it: the S6 Active is made for the outdoorsy types, and battery life is a critical thing for when you’re out and about and aren’t expected to have easy access to a wall socket. But the large battery on the phone is also a huge insult to those who bought the standard Galaxy S6 flagships. The Galaxy S6 and S6 edge have respectable battery life for the 2,500/2,600 mAh batteries under the hood. The efficient Exynos processor is one of the key reasons why these phones can offer at least average battery life (which would be better if not for Lollipop’s inherent issues) despite having a Quad HD display and other high-end hardware. But there is no denying the fact that Samsung opted to make its latest flagships anorexically thin instead of focusing on battery life, and simply put in wireless charging support to try and make up for what is an extreme case of form over function. … an extreme case of form over function. But while we were only just getting used to the fact that we will have to live with the unimpressive battery life on the S6 duo, Samsung has now come out with the Galaxy S6 Active, making us wonder if the company could have done something to make the batteries on the S6 and S6 edge even slightly smaller. Okay, so maybe a 3,000 mAh battery would be a stretch and ruin the immaculate designs, but Samsung could have at least stuck to the 2,800 mAh battery from the Galaxy S5. 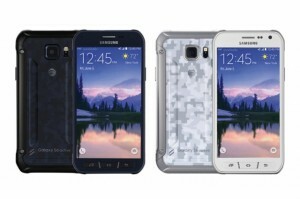 The Galaxy S6 Active is exclusive to North American carrier AT&T for now, so only a very small portion of consumers will actually be able to get their hands on one. But still, since the moment the phone was announced, I’ve almost been seething with anger about the fact that the S6 Active will be able to offer battery life considerably higher than what my S6 edge can manage. It’s nothing less than an insult to the millions that have bought the Galaxy S6 and S6 edge, and I really hope Samsung doesn’t make the same mistake again. The company has fixed most of its shortcomings with the sixth-generation Galaxy S, and it would be a major disappointment if 2016 brings us the next iteration with handicapped battery life once again. Here’s hoping Samsung can quicken its pace on those denser batteries it is working on.